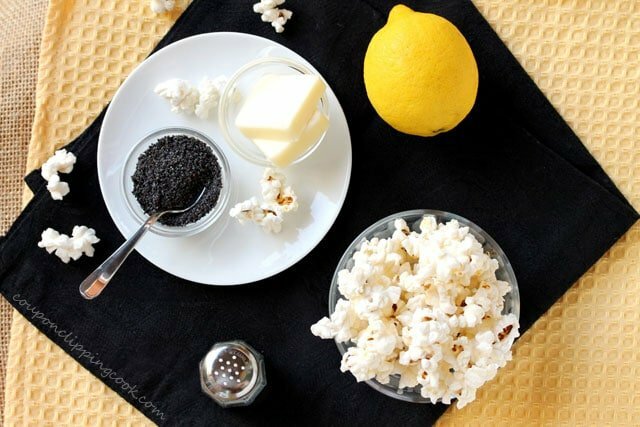 Change up popcorn in a good way. Have you ever had one of those times when staring in the pantry for a snack, unable to find anything, until you spot the popcorn? I have those times a lot, especially on the weekends or late at night. 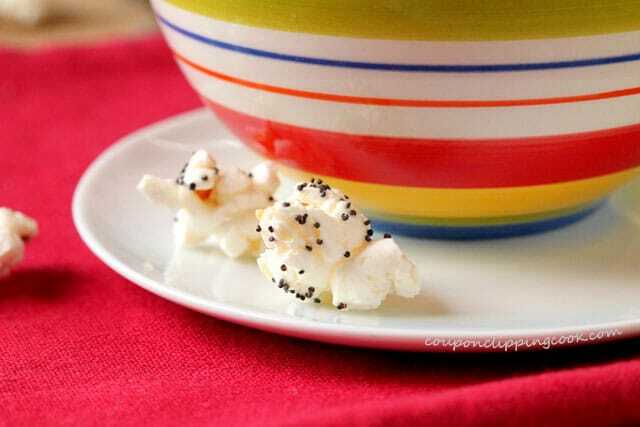 I see the jar of popcorn kernels and grab it up thinking, what a good pantry item this is. It lasts nicely when kept in a sealed jar and is always there whenever I need it for the perfect snack. And, it’s fairly inexpensive too. 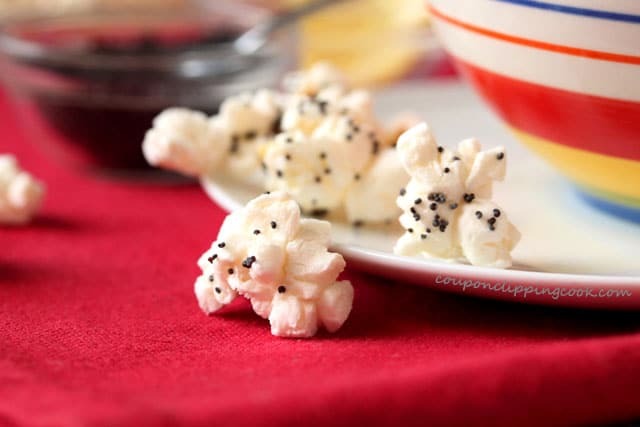 I like using a microwave popcorn popper because it doesn’t require oil and pops the kernels quickly. 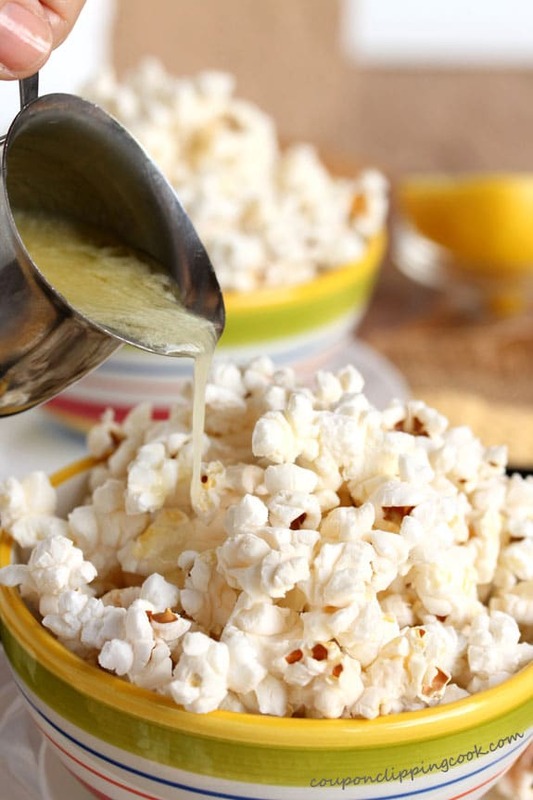 Popcorn generally involves butter for me but I do love to change the flavor up a bit. This version with fresh lemon juice is so good because of the slight bitterness along with the butter and salt. It’s kind of like vinegar potato chips with a sour bite that has you going back for more. 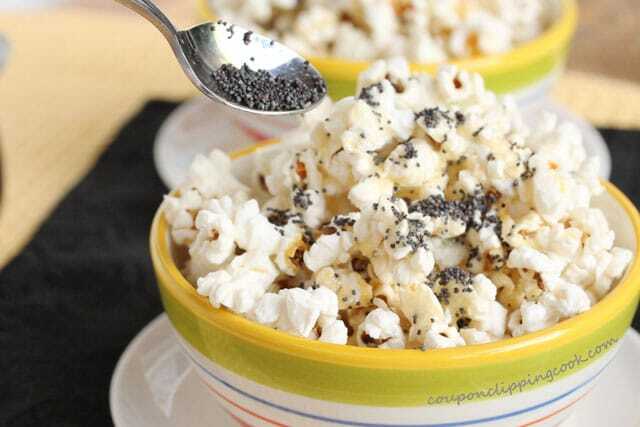 And the poppy seeds are an added bonus to add an ever so slight nutty taste. 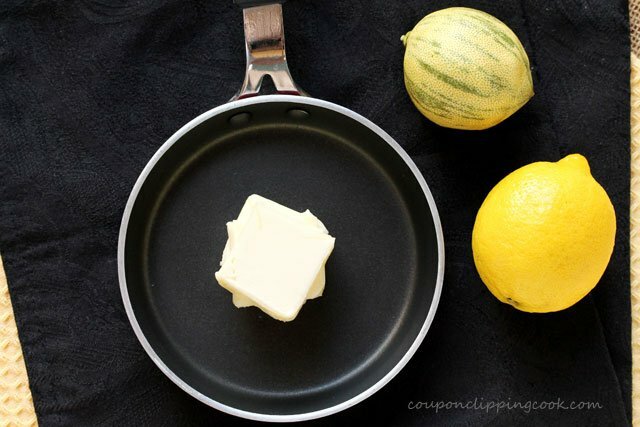 Start off by making the lemon butter. I snuck in one of the lemons from a tree that I have called a pink lemonade lemon. It’s of course the one with the green stripes. It looks just like a regular lemon inside only it has a pink color to it. And to me it tastes like a regular lemon too. I actually used the juice of this pink lemonade lemon in this recipe. I should have taken a picture of the inside to show how pink it is. Stir as the butter melts and add lemon juice. 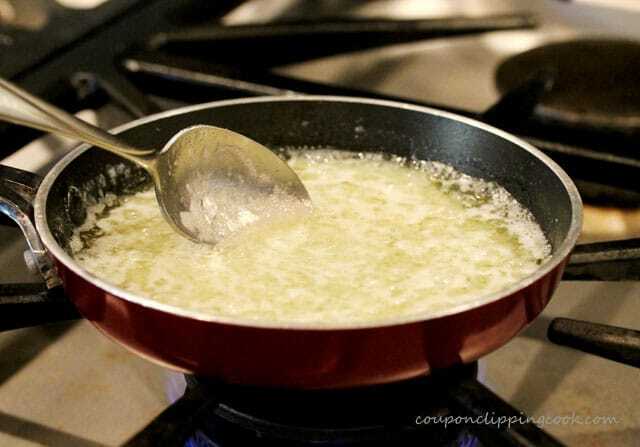 Continue to stir until the butter is completely melted. 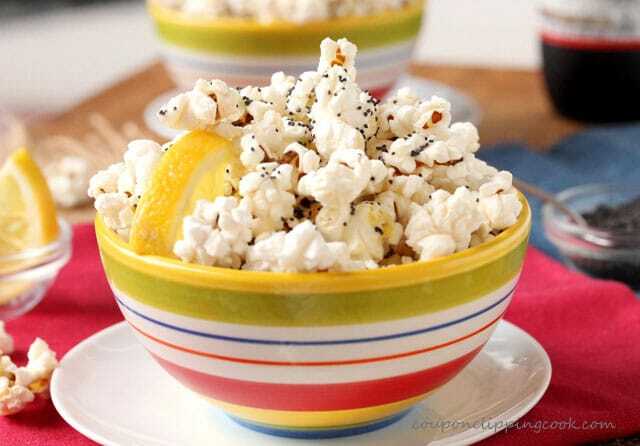 drizzle the melted lemon butter on top the popcorn. …and salt to taste. 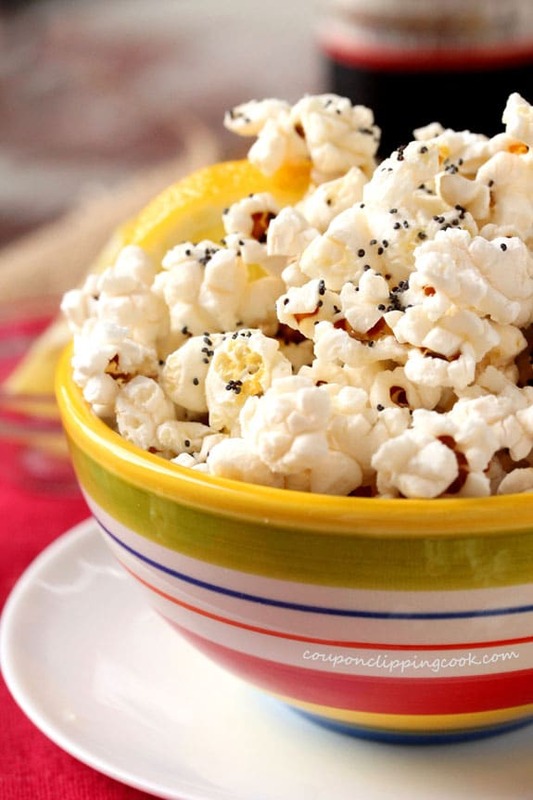 For best results, eat right away so the popcorn doesn’t get soggy. 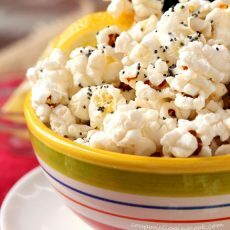 Change up popcorn in a good way! 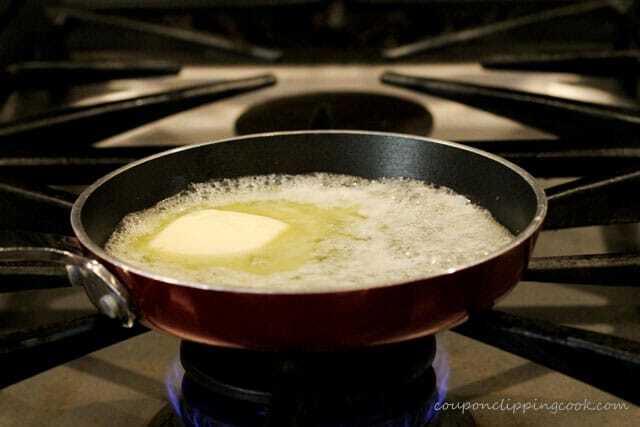 Heat a small skillet or pot on low heat and add butter. 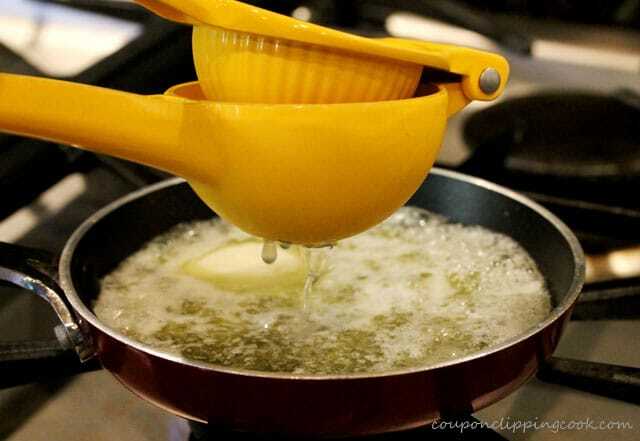 Stir as the butter melts and add lemon juice. 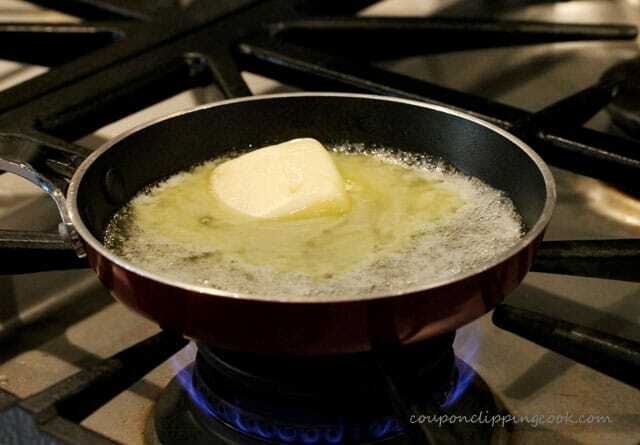 Continue to stir until the butter is completely melted. 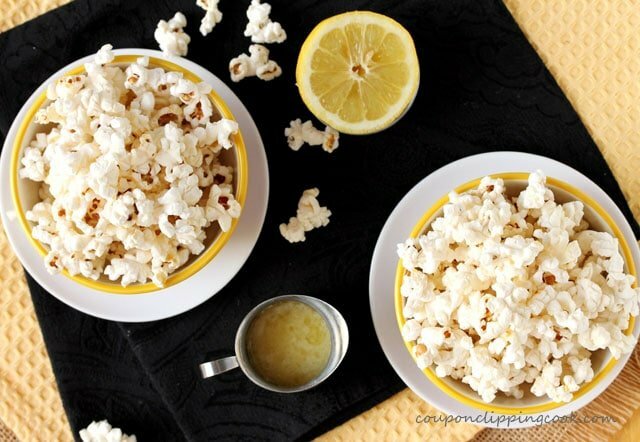 Drizzle melted butter on top the popcorn. 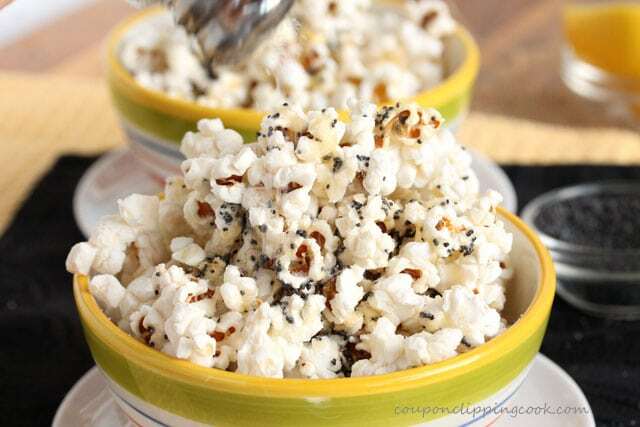 Top with poppy seeds and salt to taste. For best results, eat right away.